For the past three years, the U15 Boys United White travel team has been volunteering a Saturday each season to be TOPSoccer buddies. As volunteers with this wonderful ASA program, the travel team players teach and practice soccer skills with the TOPSoccer players, but more of their time is really spent just encouraging learning and having fun on the soccer field with the players. It has been a team-building opportunity for the United team members and a relationship-building opportunity with the TOPSoccer players. For more information about ASA’s TOPSoccer program click HERE. Fall 2015: Rowdies White player Katherine T. organized a “Back to School” food drive to support Arlington Food Assistant Center (AFAC). 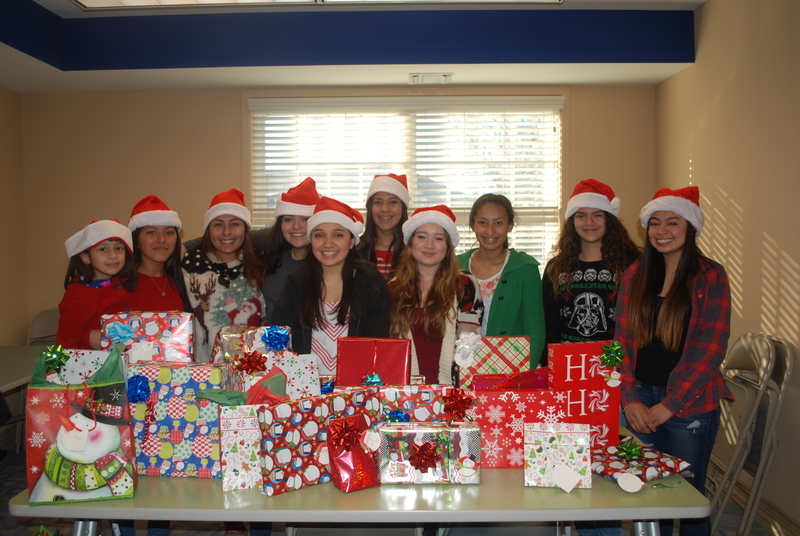 Over 200 pounds of food was donated. 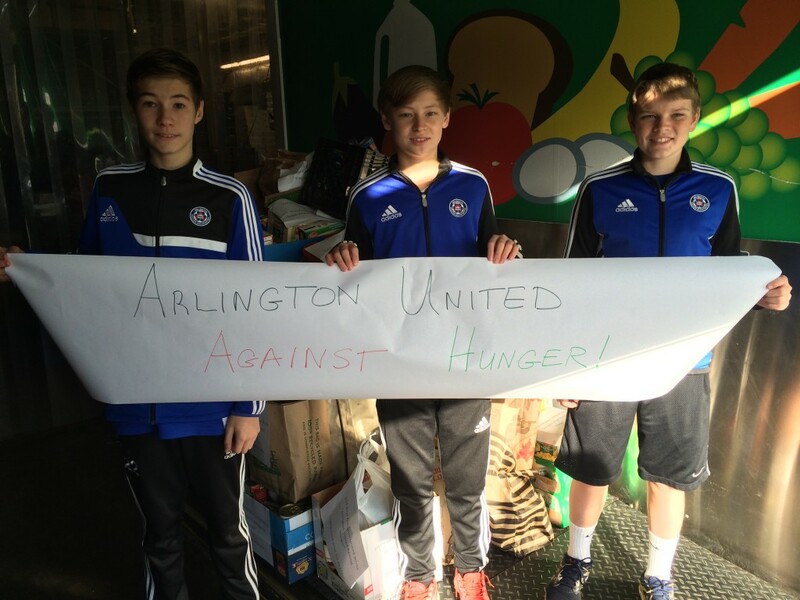 U14 United White team members Matthew L., Zach B., and Ryan V. deliver food to AFAC as part of their team’s “Arlington United Against Hunger” food drive. 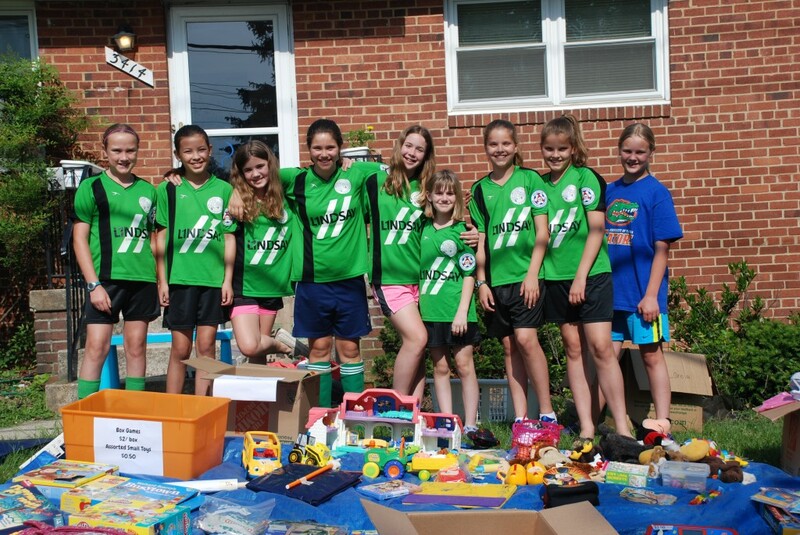 May 2015: The NW Lions 5th grade girls team coached by Mark Lincoln organized a team yard sale to help raise funds for the ASA scholarship fund. 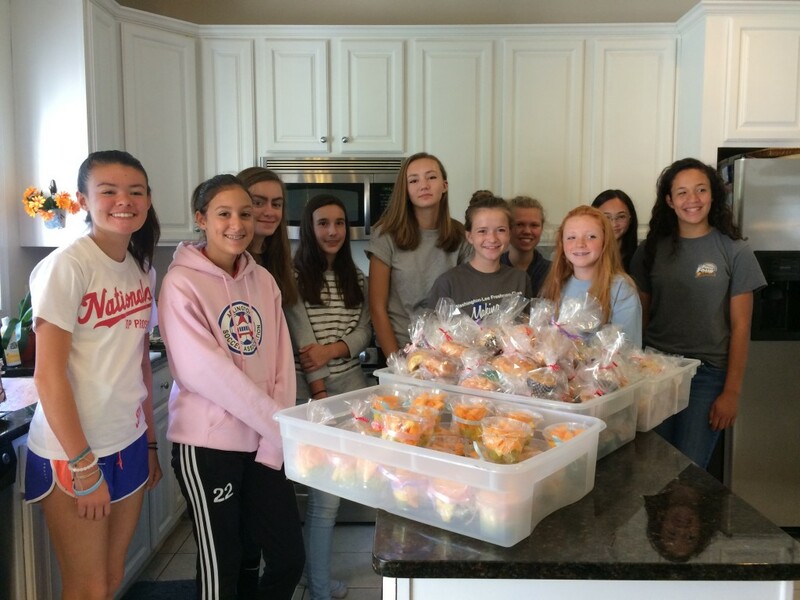 The girls were excited to raise $400 to help other Arlington youth enjoy the game of soccer. 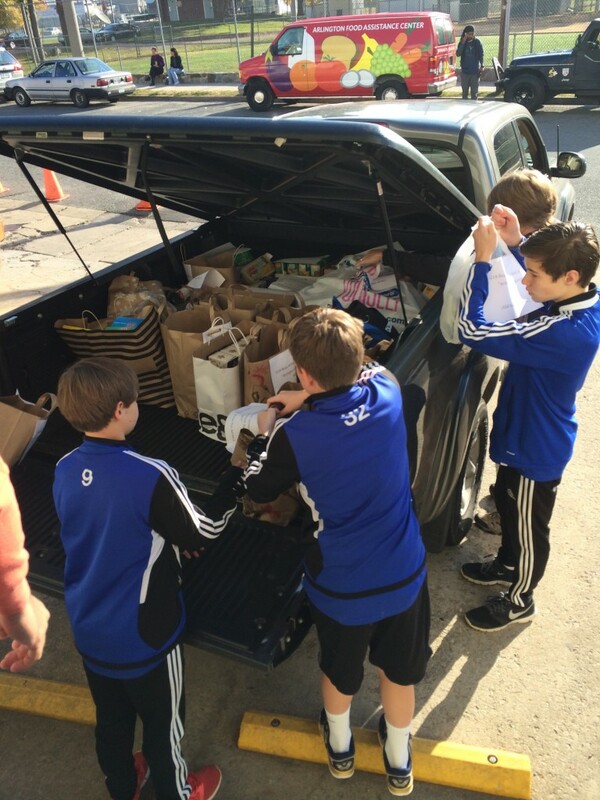 December 2014: The U14 Boys Arlington United White team capped off a successful food drive as part of ASA’s effort to support the Arlington Food Assistance Center (AFAC) which provides food to hungry families and individuals throughout Arlington. Arlington United White, which named the team’s food drive, “Arlington United Against Hunger” collected a total of 1,188 pounds of food donations in the weeks leading up to Thanksgiving. The United boys distributed flyers to friends, neighbors, parents’ work colleagues, and enlisted support through neighborhood list-serves to promote their food collection effort. Arlington United White is grateful to the many Arlington families who supported “Arlington United Against Hunger” and to ASA and AFAC for their active support of this year’s food drive. 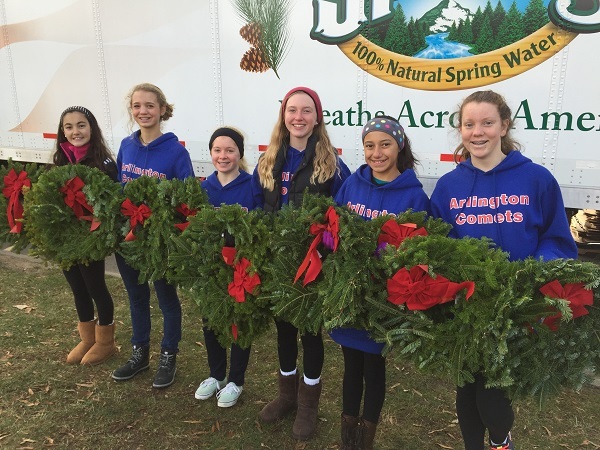 December 2014: U14G Comets White helped lay wreaths at Arlington National Cemetery.